There’s more to solar power than high-tech semiconductor arrays. 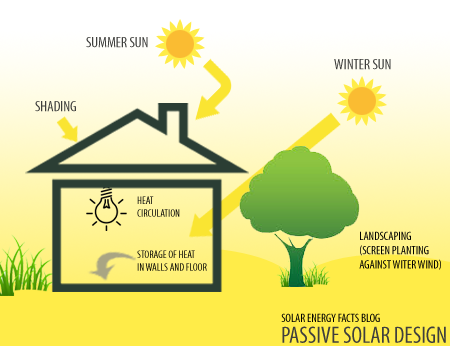 Passive solar energy is a type of building design that collects and distributes solar energy (in the form of heat) around the home in the winter, and also prevents excess heating in the summer. You can’t buy a passive solar energy system as a simple add-on. In most cases, it has to be designed right into the fabric of your home or office from day one. Passive solar energy is a way of thinking about building. 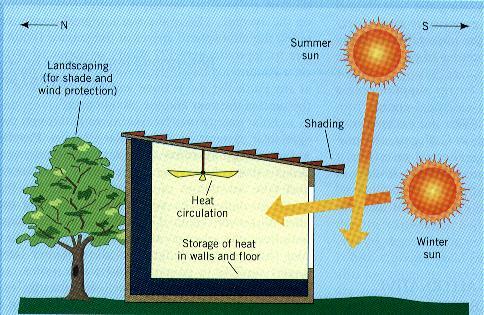 The first step in designing a passive solar energy system is to think through the building’s relationship with the sun. The crude solar diagram above does a good job of illustrating how roof angle, in relation to the sun’s position during different seasons, determines solar gain. In the northern hemisphere, the home will need to be south-facing, to catch the maximum amount of sunlight. All the most important rooms — the ones where people live and work — will be on the south side. The next step is to think through the relation between walls, roof and windows. This provides temperature control both winter and summer. You know how the sun gets only a little way above the horizon in winter? The building needs big vertical glass windows on its south side to catch the winter light and heat. 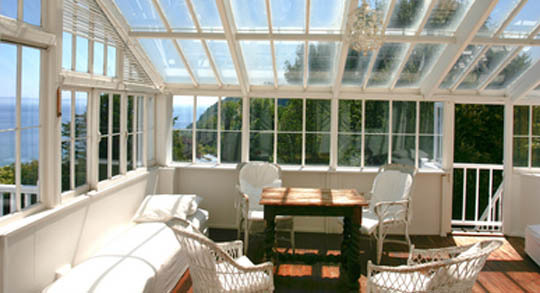 Windows on the other walls should be small, to minimise heat losses. For summer, when the sun is high, a long, sloping roof that overhangs the south-facing windows will shade the building and help keep the temperature down. Then there’s the structure and fabric of the building to think about. It will need lots of insulation, of course. There’ll be vents built into the walls and roof to control air currents in the building, so the inhabitants can recirculate warm air in winter and allow it to escape in summer. But there’s also thermal mass: the inclusion of special materials into the structure in order to absorb available heat and give it back slowly when it’s needed. 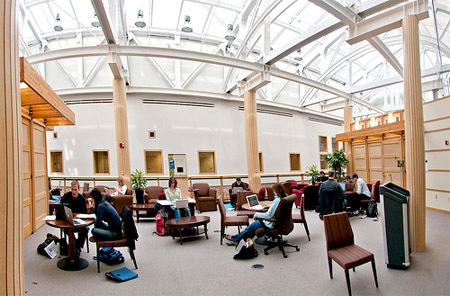 Passive solar techniques have been used successfully all over the world. Think your area is too chilly? A recent study showed that, even in Scotland, the sun supplies 15% of the heating energy needed by ordinary homes. With more passive solar building, that percentage will increase and energy bills will come down. And that’s true no matter where you are!